If you are looking for a way to increase and accelerate your sales flow or to increase the performance of your sales assistants Arggo Salesperson Web App is the solution. Salespeople are constantly on the go, whether they are meeting with clients, flying out to give a presentation, or running to a team training. With this in mind, mobile access to databases, especially sales systems had become not only an option but a prerequisite. 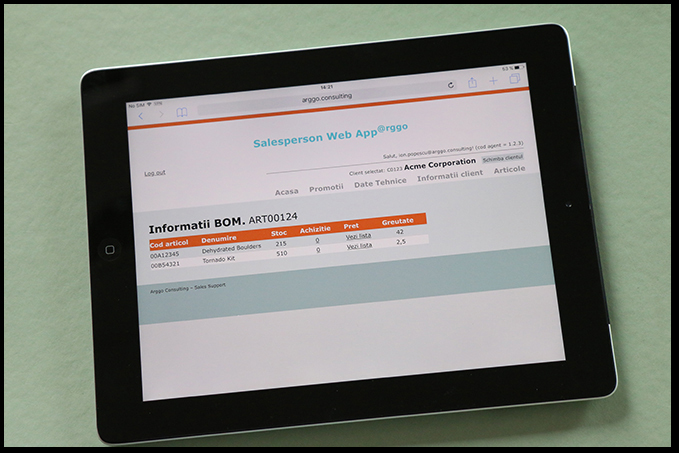 Arggo Salesperson Web App is connected to an ERP and in addition can be connected with complementary databases. By doing this, a complex view of selling process of your company will be formed.